Representative Paul Davis Ryan (Republican of Wisconsin), the chairman of the House of Representatives ways and means committee, called a meeting on July 9 in a bid to figure out initiatives and measures that would make it possible to resolve the diminishing funds of the Social Security Disability program, the Huffington Post reported. Ryan said he wants to prevent the reduction of 20% of Social Security disability benefits that the 11 million recipients of the program may be subjected to next year should the program’s funds continue to stagnate. Although Congress is working to solve the disability program’s issues, they passed a legislative rule that would prevent the transfer of funds from the retirement program. 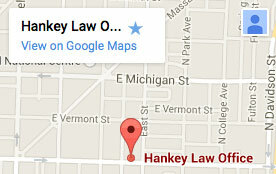 The legal team at the Hankey Law Office in Indianapolis serves to protect our clients’ legal rights. If you have a Social Security disability case you need our legal help with, contact a skilled attorney by calling our offices today at (800) 520-3633. The House of the Representatives Ways and Means social security subcommittee conducted a congressional hearing during the last week of February on the measures to be taken to prevent the insolvency of the Social Security Disability Program. Earlier that month, the Senate budget committee conducted a similar hearing. Said hearings are being held in relation to the impending dissolution of the SSDI funds come 2016. Without congressional action to realign other funds to augment the SSDI, or provide other sources of funding to allocate to the nearly depleted disability fund, disability recipients and their beneficiaries could see as much as a 19% cut in the funds they receive each month. Due to the current precarious state of the federal disability program, you may find that claims are more difficult to get approved. If you you need professional help to file or appeal for your rightful disability claim in Indianapolis, contact our attorneys at the Hankey Law Office by calling us at (317) 634-8565 as soon as you can.